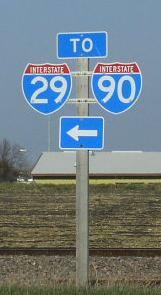 Interstate 90 is the east-west interstate in South Dakota. 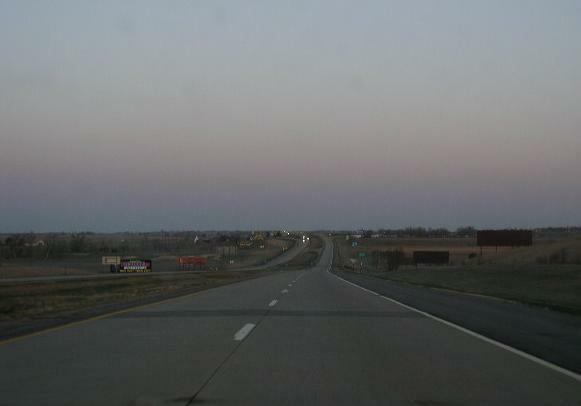 This runs from the South Dakota/Minnesota State Line, near Valley Springs, to the South Dakota/Wyoming State Line, near Spearfish. It connects Sioux Falls, Mitchell, and Rapid City to each other. Plus, this is the mian tourist route to the Bandlands National Park and Mount Rushmore. While in South Dakota, I-90 is multi-plexed. ...South Dakota State Route 45, from M.P. 289 to M.P. 284, near Kimball. ...South Dakota State Route 50, from M.P. 272 to M.P. 265, near Chamberlain. ...U.S. Rt. 83, from M.P. 212, near Vivian, to M.P. 192, near Murdo. ...South Dakota State Route 63, from M.P. 170 to M.P. 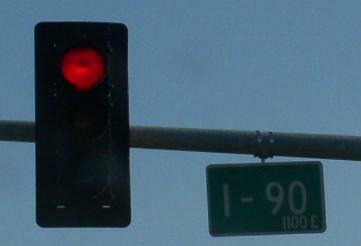 163, near Belvidere. ...South Dakota State Route 73, from M.P. 150 to M.P. 143, near Kadoka. ...U.S. Rt. 14, from Wall to the South Dakota/Wyoming State Line. 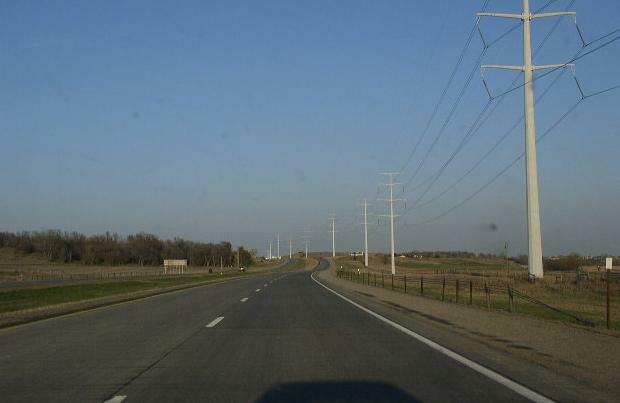 ...South Dakota State Route 79, from Black Hawk to near Sturgis. 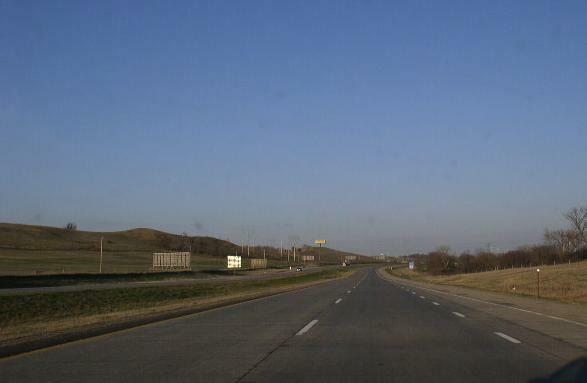 ...South Dakota State Route 34, from Sturgis to Whitewood. ...U.S. Rt. 85, near Spearfish. 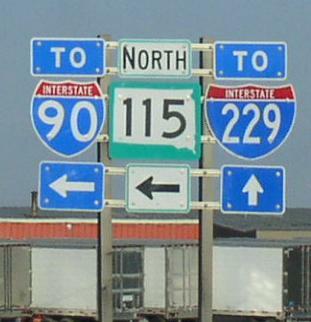 In South Dakota, Interstate 90 crosses the following interstates. 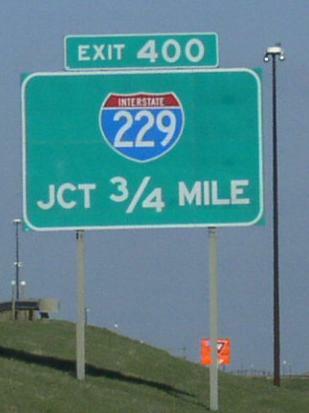 A overhead guide marker on EB I-90. 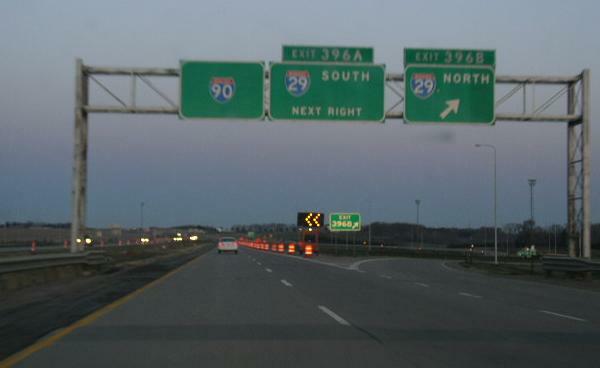 Interstate 29, at Sioux Falls. 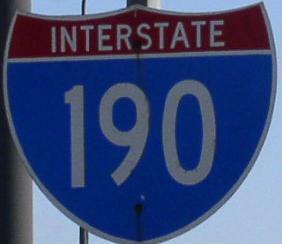 Interstate 190, at Rapid City. 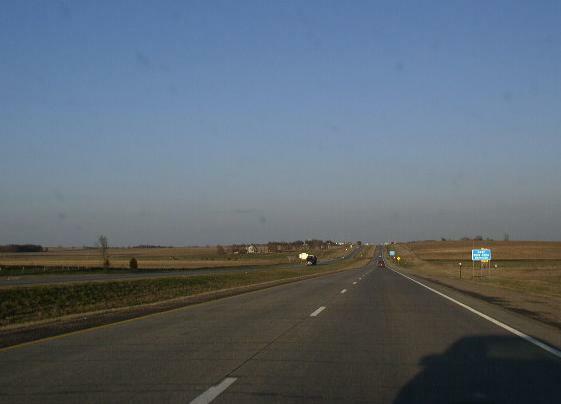 Branches of I-90 in South Dakota. 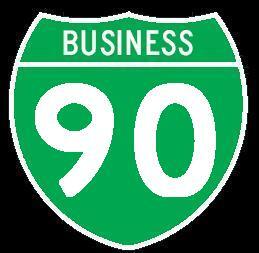 WB I-90 east of SD St Rt 38. A guide marker SD St Rt 115. A guide marker on NB SD St Rt 115. A guide marker at Joe Foss Field in Sioux Falls. 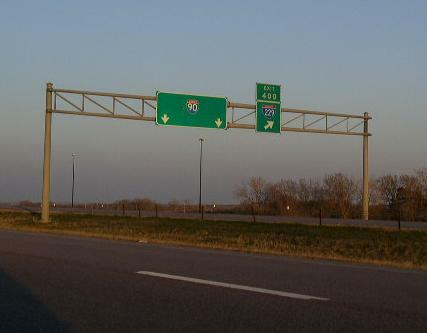 EB I-90 east of Sioux Falls. 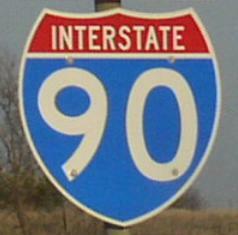 EB I-90 west of SD St Rt 11. 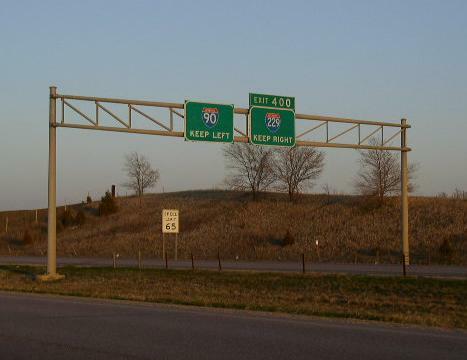 EB I-90 near the South Dakota/Minnesota State Line.